Pianist Tigran Hamasyan was not the most popular finalist in the Thelonious Monk International Jazz Piano Competition held Sept. 17 at Washington, D.C.’s Kennedy Center; at least not with the audience. Fortunately, the Thelonious Monk Competitions have never been a popularity contest and the judges are generally unswayed by the obvious tricks and flashy technique that so often and so easily generate whoops and hollers from fans. That may help explain how Hamasyan, an Armenian-born music student at the University of Southern California, won the 2006 piano competition by taking risks and recasting the standards “Cherokee” and “Solar” in challenging, time-altering ways. (www.jazztimes.com). By that time he was just 19. The success certainly did not come to him just by chance. At the age of 3 little Tigran was singing Louis Armstrong’s, Beatles’ and Deep Purple’s songs trying to accompany himself on the piano. He was listening to different jazz melodies and improvising on the piano all day long. 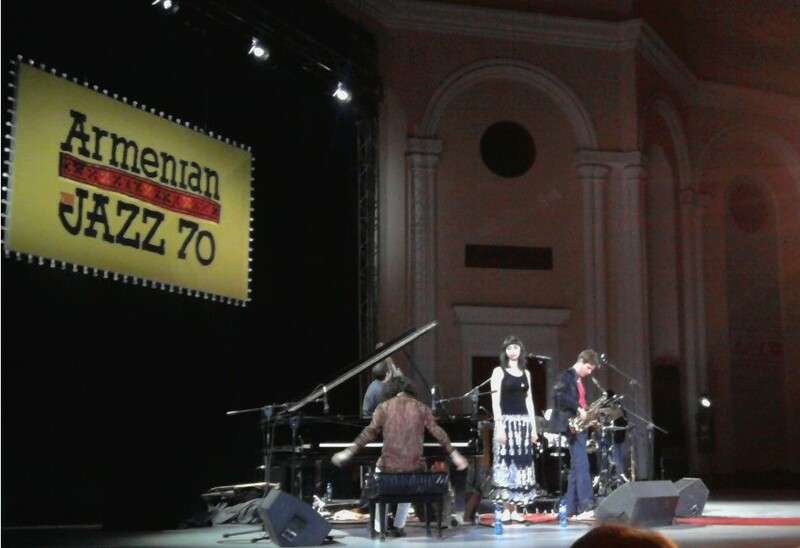 Two International Jazz Festivals held in Yerevan (in 1998 and 2000) created an excellent opportunity for a young guy from a small Armenian town Gyumri to show his extraordinary talent to such world jazz stars as Chick Korea, Avishai Kohen, Jeff Ballard, Ari Roland. In 2001 thanks to Stephane Kochoyan’s efforts Tigran was introduced to the international jazz community in Europe and played with Pierre Michelot and Daniel Humair. Then a period of study, hard work, festivals and numerous prizes followed. In 2008 Tigran Hamasyan already created his own band called “Aratta Rebirth”. The band’s first album “Red Hail” was released in 2009 and consists of Tigran’s own music and 3 Armenian folk songs that he arranged. As of today, the young musician has released 3 albums and together with his awesome band had a number of concerts in NY, St. Petersburg, Rome, London, Manchester, Leeds, Rotterdam, Paris, Rennes, and many other cities and towns. The day before yesterday, on April 5, 2010 Tigran Hamasyan and Aratta Rebirth held a wonderful concert in the Philharmonic Theatre in Yerevan. Incidentally it turned out that Tigran is not only pianist, but also… well, I am not really sure how that kind of art is called, that is why I’d better just recommend you to listen to his “Falling”. When the concert finished the whole audience stood up thanking Tigran Hamasyan with thunderous applause for his talent and absolutely new and individual approach to the jazz and folk music. We were applausing so long, that the whole band had to return to the stage to play an encore. In several days Aratta Rebirth is leaving for the next concert in Paris going on with their European trip. Let’s wish them good luck and wait for Tigran’s next visit to his Motherland. Btw, you can visit Tigran Hamasyan’s website at www.tigranhamasyan.am to learn more about his biography and art. P.S. “Aratta Rebirth is a call for the humanity to wake up. People have to understand and embrace their roots and culture. We have to stop, turn around and go against the flow of this brainwashing and moneypulating river of corruptness and fakeness, so we do not end up in that big lake of globalization. We can go back up the mountain, to the source of this muddy river, have another look from the summit and make another choice”.